Go the distance with our Quick-Dry Air Undersuit. Staying cool and dry keeps you comfortable on the ride and keeps your concentration on the road ahead. 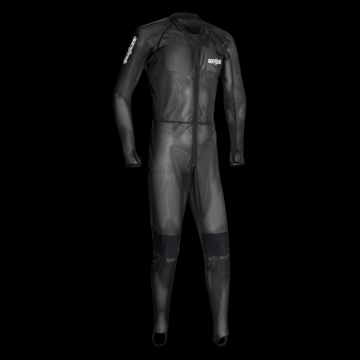 • Lightweight mesh, slim-fit designed undersuit. • Quick-Dry and anti-bacterial polyester tricot mesh main body fabric. • Soft Nylon/Spandex four-way stretch collar, lower back, upper knee, and calf panels for a comfortable performance fit. • Stretch trimmed cuff with thumb hole and leg stir. • Flat-Lock seams throughout for comfort and durability.